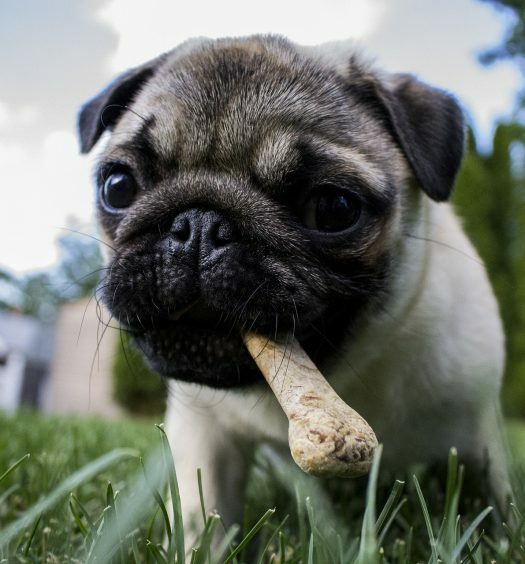 Looking For The Best Dog Chew Toys For Teeth? Here’s a look at our favorites, including our top pick – Virbac C.E.T. 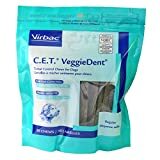 VeggieDent Dental Chews. Our furry friends may not need a semi-annual trip to the dentist like we do, but a healthy mouth is just as important for dogs as it is for us. 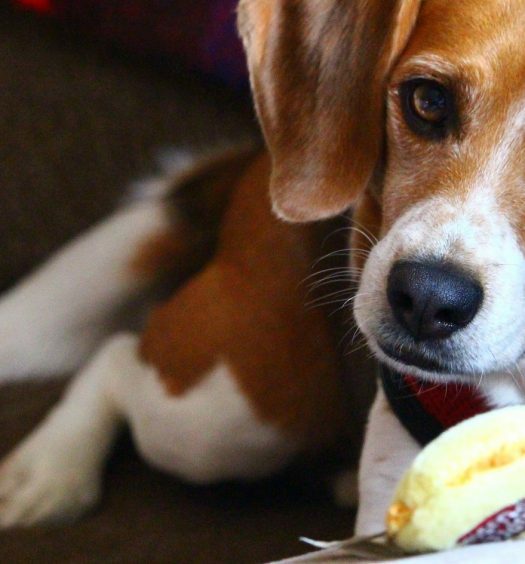 Dogs are susceptible to tooth pain, dental trauma, and gum disease, so it’s essential to provide them with toys and treats that promote good dental hygiene. There is a wide variety of food and treats that can help keep their mouth clean and clear of harmful bacteria, and there are countless chew toys that can help strengthen their teeth and gums. It isn’t necessary to throw out all of your dog’s food and toys in favor of dental-friendly options, but it’s a good idea to incorporate some of these from now on, gradually adding healthy treats and toys to their regimen. There are countless options on the market, so to help you out, here are the top 5 dog chew toys for teeth. The Virbac C.E.T. Dental Chew is approved by the VOHC to reduce and control tartar. It also does a great job of generally freshening your dog’s breath and reducing plaque as they chew the treats. They come in packs of 30 and the company recommends giving one treat to your dog each day, so each pack lasts about a month (unless you’re like me and can’t resist the sad puppy-dog eyes and end up giving them more than just one-a-day!). 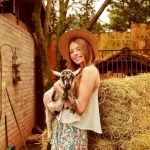 WarmZone is a great company that’s been in the pet-business for 17 years. This WarmZone Dog Toy is a great chew toy for small and medium-size dogs (big dogs will unfortunately tear it to shreds far too quickly). It’s 100% cotton, and it’s made with non-toxic, plant-based dyes, so it’s not a concern if your dog incidentally consumes some of the fibers. 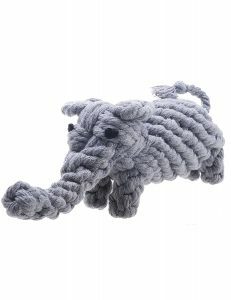 As you can see from the picture, the elephant is shaped with large, sturdy knots, so while you play tug-of-war with your dog, the grooves will gently grind against their teeth, promoting strong teeth and reducing plaque. The Dental Toy by Boshel is a fun option that manages to combine a sturdy chew-toy with a treat dispenser. The shell of the toy is hard enough to strengthen a dog’s teeth and endure months of gnawing, but it has a touch of pliability to prevent destructive chewing and ensure it’s not too hard on their teeth. The ergonomic design includes bristles on five sides to scrub plaque from their teeth and gums, and the sixth side has a small opening that will occasionally spit out a small treat as a reward for the playful puppy. You can also fill the toy with water and freeze it to provide cool relief to teething puppies or dogs with sore gums (and of course for a cool treat on hot summer days!). This product is similar to the Boshel Dog Dental Toy, as it aims to promote dental hygiene while rewarding your dog with tasty treats. 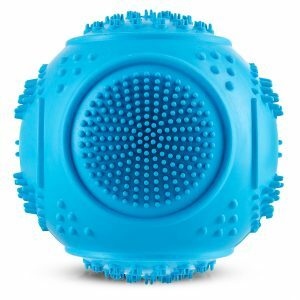 The Airsspu Interactive Dog Toy has a soccer ball-style setup with hexagonal grooves that clean your dog’s teeth as they chew. Where this product differs, however, is with the treat-delivery system. Rather than just dispensing treats through a single hole, there are multiple openings around the ball. A smaller ball with only two openings nests inside the toy, and treats are released as the inside-ball’s openings match up with the openings on the exterior. 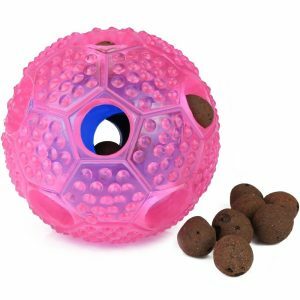 This provides more of a challenge for your dog, as they’ll need to chew the ball and play with it more to dispense the treats. Thanks to the grooves on the toy, the more they play with the toy in search of tasty treats, the better job the toy does at cleaning and strengthening their teeth. Note that this toy is less than 3-inches wide, though, and should therefore be limited to use with small and medium-size dogs who won’t swallow the toy whole. For the Airsspu Interactive Dog Toy and the Boshel Dog Dental Toy, I’d recommend putting VOHC-approved dental treats inside the ball. Any treats will do, but using dental treats with good chew toys like this adds an extra measure of dental hygiene for twice the benefit. 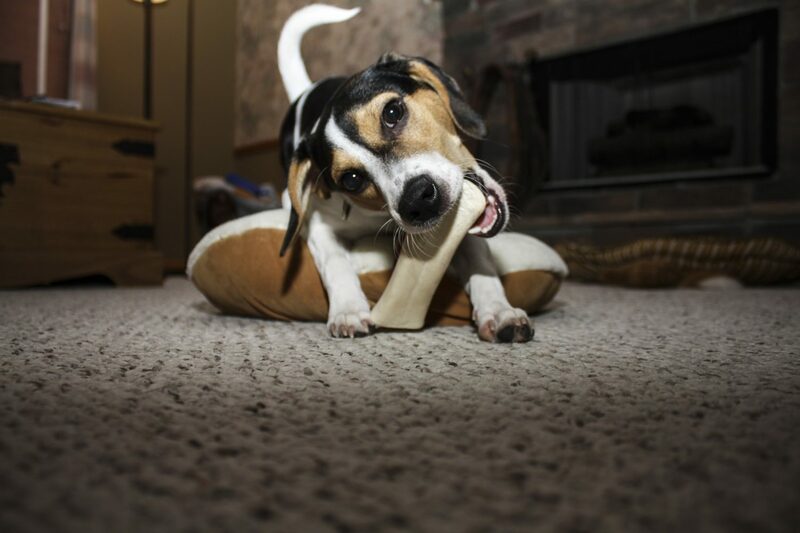 The Nylabone Dura Chew Textured Toy is a fantastic substitute for an animal bone. Where animal bones can chip teeth, puncture gums, and induce choking or gastro-intestinal problems, this nylon bone eliminates those worries with its chip-free design. The toy has a row of ridges on one side and a scattering of circular nubs on the other, both of which are designed to scrub the dog’s teeth in different ways as they chew on the toy, fighting both plaque and tartar buildup on their teeth. The product is made in the USA, and is sturdy enough to endure months of constant chewing—even with larger dogs. The Nylabone comes in four sizes, from a softer puppy-size to extra-large and durable one, so dogs of all sizes can enjoy it. As a bonus, you can also opt for flavored Nylabones if you want to give your pooch something tasty to chew on. In addition to the original flavor, you can choose chicken, bacon, and peanut butter. Each of these products come with outstanding customer reviews, and they all serve a different purpose. If you’re looking for a chew toy that cleans your dog’s teeth and dispenses VOHC-approved dental treats, go with the Airsspu Interactive Dog Toy for small dogs, or the Boshel Dog Dental Toy for larger breeds. For small and medium-size dogs who enjoy playing tug-of-war with you, the warmZone Cotton Dental Teaser Rope Chew is a fun option. 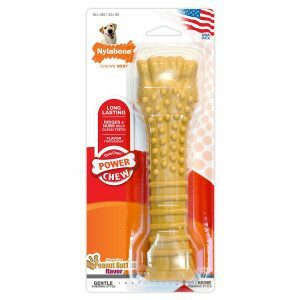 The Nylabone is a staple for dogs of all sizes (especially furry friends who like chicken, bacon, or peanut butter flavor! ), and the Virbac C.E.T. 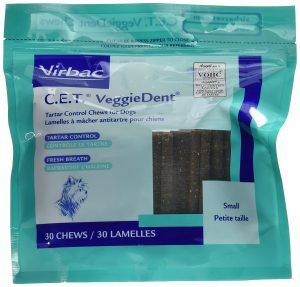 VeggieDent Chews are a great daily dental-treat that can be used in conjunction with any of these chew toys.